Selecting a stream is the first occasion when you get the opportunity to make an important life decision for yourself. It is when you get to set the course of not only your next 2 years but your future career and professional life too. While you may hear that you should make a choice carefully after evaluating your interest and aptitude, it isn’t always as easy as it seems. A lack of information, self-awareness, clarity or guidance, make mistakes all too common at this stage. Being mindful of this fact, you may wonder how you can avoid making them altogether. For one, knowing what these mistakes are can surely help. 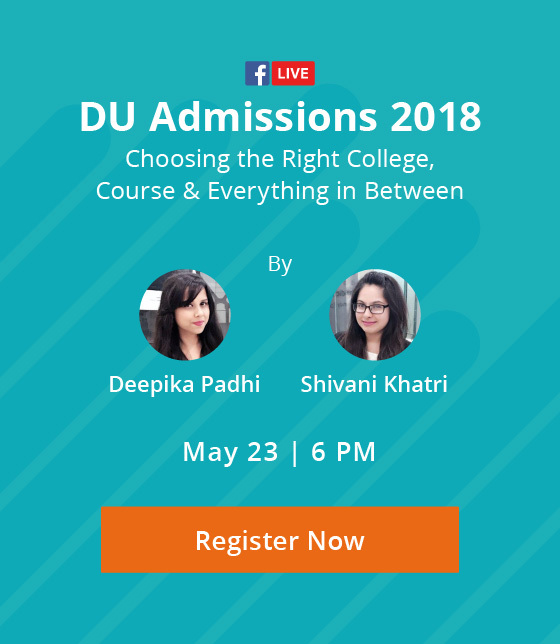 Being a recent graduate of school and having stood at stream crossroads not too long back, I felt that others’ experiences can help students be aware of the pitfalls of stream selection. So I got in touch with a few of my peers and friends who faced similar struggles to find out what mistakes they committed in their time. Let me take you through the stream choice mistakes of 5 students, to help you avoid falling into the same traps. Meera, an all-rounder, had a perfect school record, house captain in her school and apple of every teacher’s eyes. She had always been very confident, high-spirited and focused. Because of her excellent academic record, she never felt the need to ponder over her stream choice, and decided to go with PCM on the basis of her scores. Meera’s father tried to advise her to slow down and think before choosing but she in her overconfidence took the decision. As class eleventh proceeded, she found that she couldn’t understand concepts and started mugging up steps. Slowly she started losing confidence in herself and a loss of focus on studies. The final blow came when she scored terribly low in her half yearly’s. It took a lot of introspection to realise that it was all because she had selected the wrong stream for herself. The point was driven home when she overheard a Psychology lecture passing by a class, and couldn’t help feeling fascinated by what was being taught. What can you learn from Meera’s story? 1.The syllabus till 10th standard is built keeping in mind every student’s aptitude. The concepts are taught at a more basic level and are not an accurate reflection of what you will study in class 11th and 12th. Thus, selecting a stream solely on the basis of marks in class 10th is like playing by fluke. 2. Being patient and introspective is equally important as being hardworking and sincere. Because of Meera’s lack of patience and low self-awareness, she landed herself up in an unwanted mess. Take time off and make efforts to explore your interests and aptitude, instead of rushing into things. Raghav was an average student in his school, but his only dream was to make it big. Because of the limited reach of his awareness, he felt that there were only two ways he could achieve success – by being a Doctor or an Engineer. He knew he couldn’t fare well in Mathematics, so went with the only other option, Science with Biology. He put his blood and sweat into his high school studies and medical exam preparation – attended coaching, took private tuitions – but was still unable to score well enough to land a good college. Ultimately, his parents paid copious amounts of money to get him admitted to a private institute. Upon entering medical school, he realised that he didn’t enjoy it as much as he had led himself to believe. He felt he couldn’t get out of it now, so continued to put in efforts but half-heartedly. Today he owns a clinic with a shining degree hanging on the wall but Raghav accepts that he was made for something else and wishes somebody would have guided him at that time. What can you learn from Raghav’s story? 1. A limited outlook of career options can prevent you from choosing your best-suited stream and career. It is quite natural at this stage to only know of a handful of careers you might have heard being mentioned around you. That is why it is important to take the initiative to learn of as many career options as you can (there are hundreds available!). 2. Don’t be blindly fixated on being successful. First learn about how YOU define success, instead of adopting others’ ideas as your own. Also, there are more than one paths to reach the same type of success to find out which one works for you. 3. Parents may not always be in a position to direct you on the right path. Raghav’s parents, despite his poor results, insisted him to pursue medical and didn’t convince him to try an alternate path. Even if they have your best interests in mind, parents may have their own biases and it’s best to consult someone neutral and knowledgeable (like a counsellor). Recommended Read: Stuck with the Wrong Stream? Expert Tips on How to Get Back on Track! Sanjana was a born dancer, her body matched rhythm and swayed to beats since childhood. She had represented her school at national platforms and had accolades from peers and teachers. But the story at her hom was different, where she was told that dance, drama and music should be limited to being hobbies and she should make something out of herself through academics. Her mother told her about her cousins doing well as Lawyers, Doctors and Managers. Hearing these stories over and over again, Sanjana internalised that she could make her parents proud only if she pursued mainstream paths. She shifted her focus towards becoming a Lawyer and took up the Commerce stream. While studying Commerce, she often struggled with the concepts and even after much effort and hardwork, she couldn’t clear law entrances. Realising the folly of her actions, she tried to step back into her dancing shoes, but found that people were already miles ahead of her. 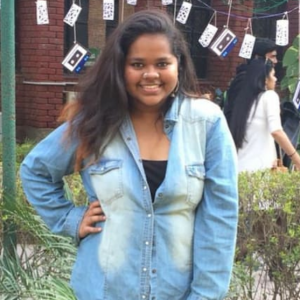 What can you learn from Sanjana’s story? 1. Don’t think about pleasing others, and find out what makes you happy. Instead of realising her interests, she became fodder to her parents’ dreams. While her parents never stopped her from becoming a dancer, they indirectly pressurised her into making her go along with her wishes. 2. If you have exceptional talents, value and nurture them, as they help you stand out from others. Sanjana failed to realise the magic of her own because she never got validation from her parents. Aman was the popular kid at his school, brilliant both academically and socially. He had inherited remarkable mathematical and business management skills from his father. But his desire to stand out from the crowd and being different had become an obsession. So much so that he felt that Commerce (which he was a natural fit for) would make him similar to most kids in his school who dreamt of becoming Businessmen. So for the purpose of setting himself apart, he took up Humanities to further pursue Literature. Once in, Aman couldn’t get through the different ways of writing, poetry and the complexities of characters. All of this used to bore him which further led to a loss of interest. After stumbling through for a year, he realised how illogical his thinking was back then, and is now trying to figure out the next step. What can you learn from Aman’s story? 1. Being different is wonderful, but the uniqueness should be represented through your personality, not your choices. 2. Social validation is important but you should understand where to draw the line. Aman opted for a stream just to be the talk among his friends and didn’t realise how much it would tamper with his future. Gauri was a very diligent student who never gave up on anything. Her hard work made her pass through her class 10th with ease. When it came to stream selection, she was utterly confused between Humanities and Commerce. Though somewhere she knew Humanities was her thing, she still opted for Commerce. She had convinced herself that she should try her hand at commerce, since humanities can be pursued later on too. Her best friend exhorted her to consult counsellors for advice but she thought it a waste of time. As the year went by, she performed well in her classes and assignments, though it took her double the effort to achieve those results. Everytime the pressure took a toll on her, she convinced herself that good things come the hard way. But when the board results came, she was shocked to see her percentage – a mere 80%. That is the day she recalled her best friend’s advice about consulting a counsellor and wondered how things could have been different. Today she is pursuing a course in humanities but not in a college suited to her calibre. What can you learn from Gauri’s story? 1. However much you may try, you cannot force your interests or aptitude. Hard work and efforts are important, but they bear more fruits when put in the right direction. 2. It’s not necessary to select things which seem difficult, great things are not always achieved through a grind. Sometimes the best options are right in front of us, but we fail to pay heed to them. 3. Don’t underestimate the benefits of help and guidance. Gauri would have fared much better and saved two years had she just taken an expert opinion. *The names have been changed to maintain confidentiality. 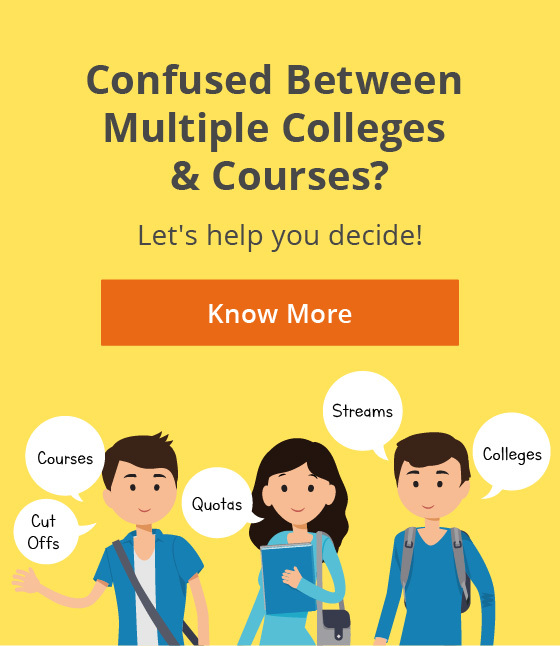 We all have or will come across the crossroads of selecting a stream for higher studies. It is quite possible that the choice will not be very crystal clear in your head. Remember that you don’t have to fall prey to the same errors these 5 students made if you just take up a logical approach. It’s alright to go down a road less taken or choose something that feels right to you, just make sure you are making your choice after planning, research and guidance. A great person once said that smart people are those who observe other’s mistakes and learn from them. So it’s time to shake things up and play smart. So what has been your stream story? Or are you still at such a cross road? Share with us in the comments below.